How to cite SKIPPY data ? Reference: Rob van der Hilst and Brian Kennett (1993): SKIPPY. 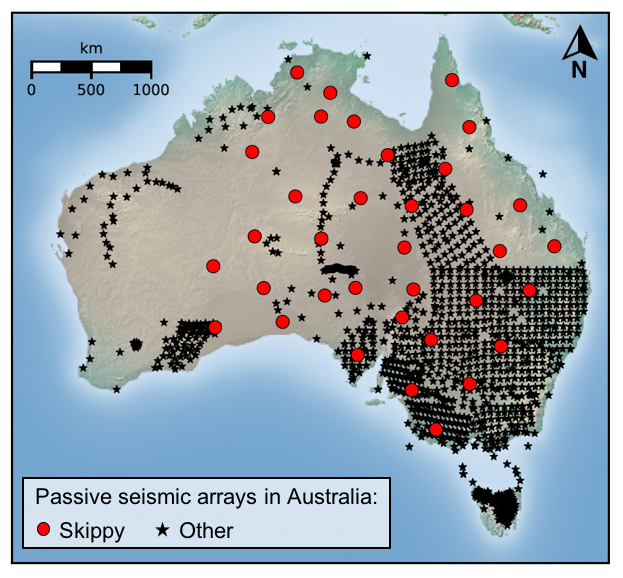 Australian Passive Seismic Server - Australian National University. Other/Seismic Network. The SKIPPY experiment [Van der Hilst and Kennet, 1993] was conducted between January 1993 and December 1996 to explore the three-dimensional structure of the Earth's mantle and lithosphere beneath the Australian continent. SKIPPY was a the first transportable array aiming at covering the Australian continent with stations spaced by about 400 km. During each stage of the experiment, 8 to 12 brodband seismometers (Guralp CMG-3ESP and Reftek) were deployed across different regions of Australia. The motion of arrays from region to region led to the name Skippy, following the iconic Aussie TV series "Skippy The Bush Kangaroo".